Ghana is a sovereign state in West Africa, which is located along the Gulf of Guinea and Atlantic Ocean. The name Ghana was derived from the Mande tradition, which literally means “Warrior King”. The earliest record of inhabitants in Ghana was dated back to the 11th century. Various European colonizers seized control of Ghana since the turn of the 15th century; however, the country gained independence in 1957 from its European colonizers. When you travel to Ghana, you will see this history still embedded in various parts of the country. There are approximately 27 million people living in Ghana and it is multi-culturally diverse (in terms of ethnic and religious communities). However, it is not just the people who are diverse – the geographical features of Ghana are also filled with diversity. Some parts consist of coastal savannahs while others are made up of tropical jungles. Petroleum is the main driving power of Ghana’s economy. It has the 5th largest oil reserve in Africa and the 6th largest in the world in terms of natural gas reserves. In addition, Ghana is among the largest producers of gold and diamond in the world. Because of its economic and political status, it has earned one of the top positions of power in the Western African region. Wi-Fi Availability: There are several wireless internet hotspots in Ghana; however, most of them are not available for free. In fact, it is difficult to find (even in Kotoka International Airport) free wireless internet access points. Airport/s: The Kotoka International Airport in Accra is the main hub for international flights that travel to Ghana. Visa Required: All foreign travelers must obtain a visa to be able to travel to Ghana. Make sure to process your visa prior to departure as the process can be lengthy depending on your country of origin. There are also certain instances wherein a tourist is not required to hold a visa, such as those in direct airside transit, or holders of a diplomatic passport. Citizens from Malaysia, Singapore, Kenya, Trinidad and Tobago and Egypt are not required a visa to travel to Ghana. Driving: In Ghana, you must drive on the right side of the road. International Driver’s License Accepted? You can use your international driver’s license in Ghana. UK driver’s license is not valid to drive in Ghana. Crime: The crime rate in Ghana is rated as high and critical. This is due to the influx of people to the major cities, which has resulted in a consequent rise in unemployment prompting others to engage in petty crimes like theft or pickpocketing. The foreign travelers are therefore easy target for these crimes due to their presumed wealth. Moreover, women’s safety is also an important concern in Ghana. Electrical Adapters: In Ghana, the electrical voltage is 230 volts with an electrical frequency of 50 Hertz. 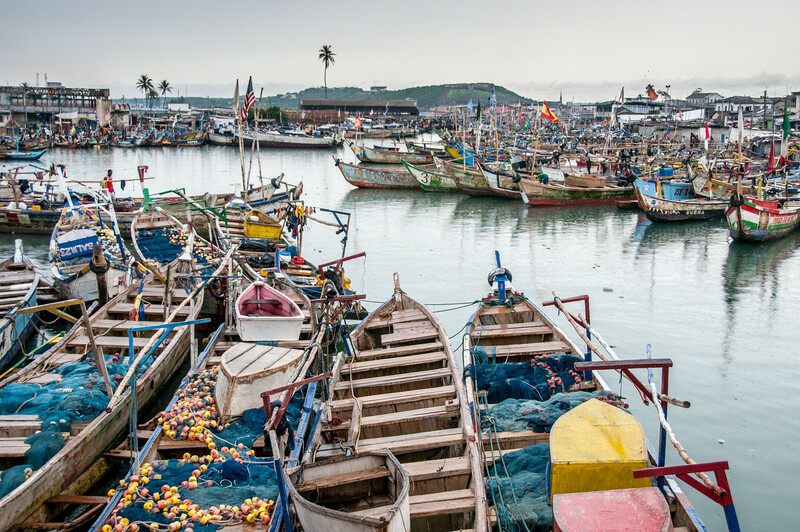 Trivia: DID YOU KNOW that the largest market in West Africa is found in Ghana? It is Kejetia Market. The common characteristic of the Ghanaian cuisine is its use of starchy food items as their staple ingredients. This starchy ingredient is either used in a sauce or soup. Cassava and plantain are two of the most popular staple food items in Ghana. However, globalization has introduced other types of crops to Ghana, which the locals have utilized for creating a number of dishes. Maize: Ghanian cuisine likes to use maize for preparing Dokonu, a fermented corn dough that is wrapped in either corn or plantain leaves. Other famous maize dishes in Ghana are fonfom and tuo zaafi. Rice: Some of the most popular dishes in Ghanaian cuisine that uses rice as an ingredient are Jollof Rice (rice cooked with spices, boiled meat, and tomatoes) and Rice Ball or Omo Tuo (mashed rice and cooked as balls). Yam: Yam fufu is a unique dish popular in Ghana wherein fufu is made from yam instead of the usual plantain or cassava. Cape Coast Castle – This is just one of the many slave castles that were built along the Cape Coast during the time of the British rule. It was built in 1610 and was de-constructed on 1661. 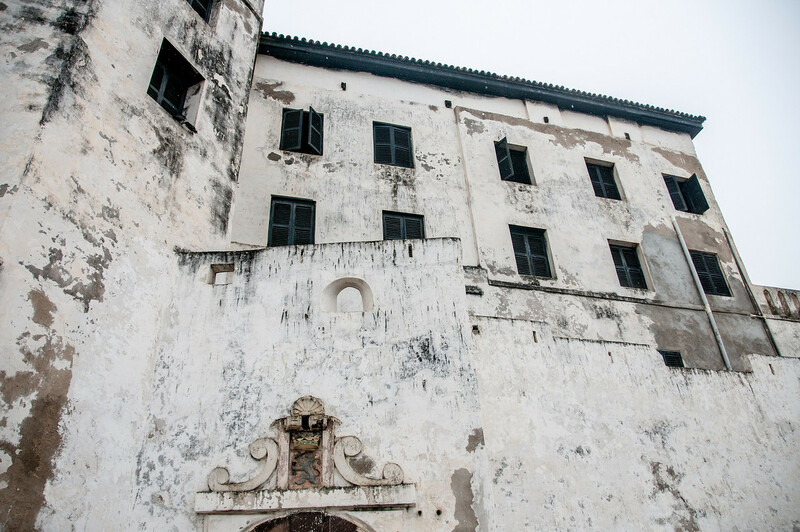 This was also referred to as the “gate of no return” during the time of the slave trade, as the castle offered the last stop for slaves before crossing the Atlantic Ocean. 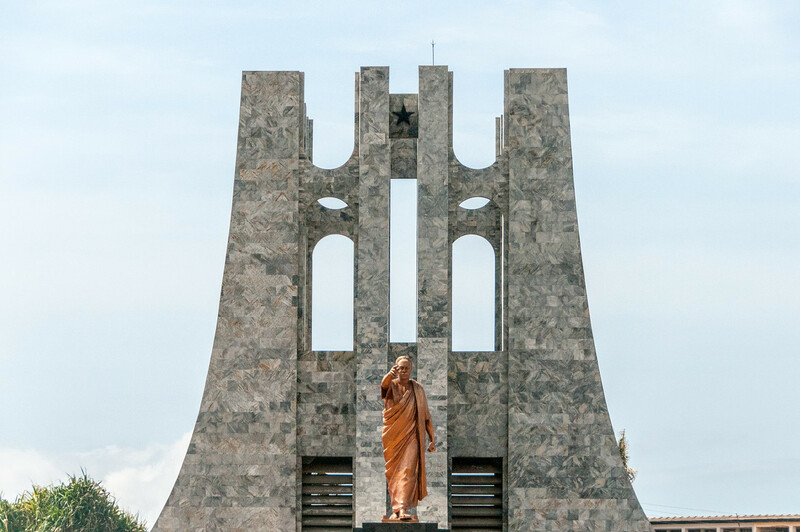 Kwame Nkrumah Mausoleum – This memorial park is located in downtown Accra in Ghana. 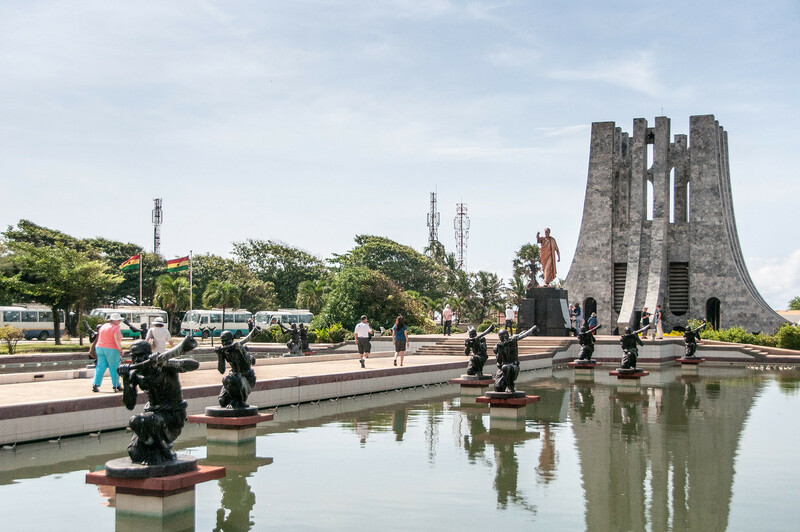 This park is dedicated to the former leader of Ghana, Kwame Nkrumah. Aside from being his final resting place, some of his important belongings are also kept in the mausoleum. 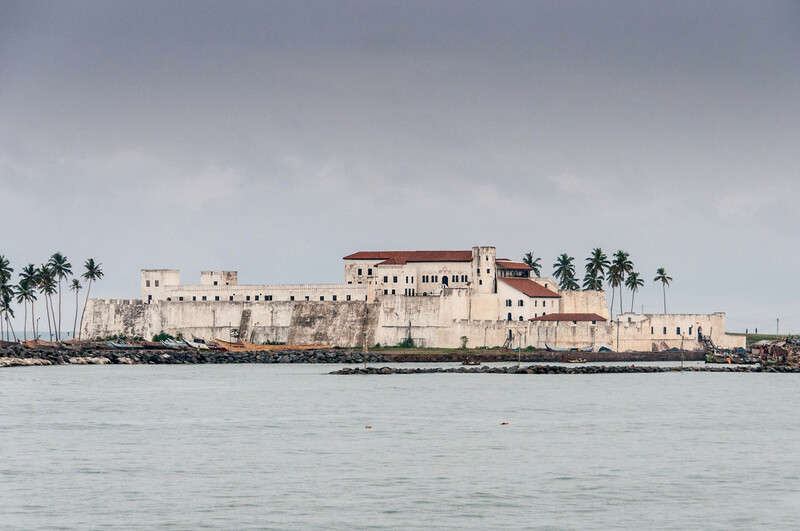 Elmina Castle – The Portuguese built this castle in 1482 and was designed by architects Luis Afonso and Diogo de Azambuja. This is also one of the castles and forts built during the time of European colonization in Ghana for slave trades. Lake Volta – This is a large reservoir that is connected to the Akosombo Dam in Ghana. The total area of the lake expands to over 8,000 square kilometers. Lake Volta is linked to the Volta River as its outflow location.